It seems the entire globe has been fully explored and no secrets remain, yet no signs of Eden, its garden, or the flaming sword set to guard its entrance have ever been found. One unusual theory, put forth by a young woman who witnessed a remarkable phenomenon she believes marks the beginnings of a prophetic fulfillment, is supported by Biblical verse. Samantha Siegel, a young American immigrant living in Jerusalem, first came to prominence two months ago when her video showing fish swimming in the sinkholes surrounding the Dead Sea went viral, garnering over 280,000 views. The video excited the public, who saw in it the fulfillment of the prophecy in Ezekiel quoted below. In her recent video, Siegel suggests this phenomenon is the beginning of a drastic change in the Dead Sea that will turn it into a lush and fertile region. She begins by noting that the Garden of Eden was referred to in the Bible as a garden of God. In a leap of reason based on Biblical sources, she noted the plains of Jordan where the Dead Sea stands today are also referred to in the Bible as a garden of God. Similarly, the Garden of Eden had every kind of fruit tree, and the Dead Sea is prophesied to be so in the Messianic era. From these Biblical parallels, Siegel proposes that Eden and the Dead Sea are one and the same. Though it might be difficult for the average person to envision the Dead Sea, a salt lake devoid of life, as the fabled Garden, for Siegel, this comes naturally. After personally witnessing the improbable existence of life in the waters surrounding the Dead Sea, Siegel can easily envision in this the first signs of what she believes is the rebirth of the Garden of Eden. As proof of her theory, she notes the four rivers of Eden, listed in the Bible as the Pishon, Gihon, Tigris, and Euphrates. According to her theory, the Pishon and Gihon could be the two sources of the Nile, southwest of Israel. The Tigris and Euphrates are located in what is today Iraq, northeast of modern-day Israel. She describes these four rivers as encircling Israel with the center point being the Dead Sea and Jerusalem. Rabbi Natan Greenberg, the head of Bat Ayin Yeshiva, was intrigued by Siegel’s interpretation, but noted that there is no Jewish source to support her theory. 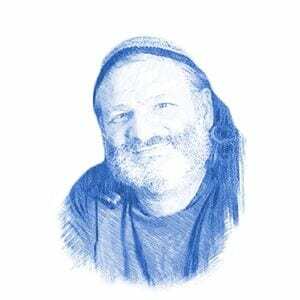 “For our purposes today, Eden was once a place but it transcended that, becoming a spiritual concept of geula (redemption) and tikkun (fixing) with no specific geographic reference,” Rabbi Greenberg told Breaking Israel News. Rabbi Avraham Arieh Trugman director of Ohr Chadash Torah Institute, also noted there was no source that suggested a geographic location for the Garden of Eden, but that does not detract from its relevance. The Garden does have present-day ramifications, according to the rabbi, even political overtones. “According to Jewish tradition, the Garden of Eden is associated with the Land of Israel, according to the big borders – from the river of Egypt to the Euphrates,” Rabbi Trugman said to Breaking Israel News. The borders of Israel are described several times in the Bible. When God promised the land to Abraham, specific borders were described allotting to his descendants a piece of land significantly larger than what was eventually conquered in the days of Joshua Ben Nun. These more expansive borders were based on the description of the Garden of Eden.